Default - This is the default template. The layout of a default page includes a hero section followed by page content and the footer panel. Background Color – The background color of this page. It can be White (with dark content) or Black (with light content). The logo version (light or dark) will be selected automatically depending on this setting. Display Hero Section – A hero is the header section of the page displaying html content. For Hero settings please refer to Hero Section. Hover Effect –The type of hover for each portfolio item thumbnail. Page Layout – Portfolio page layout. 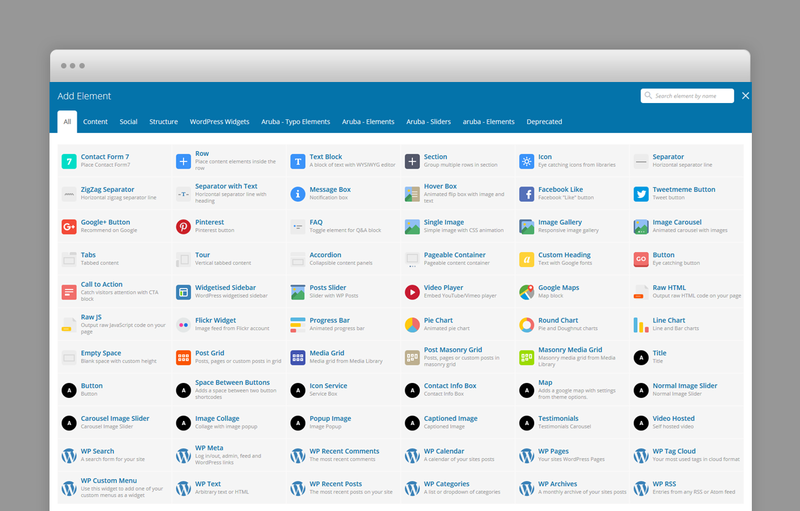 Maximum Number Of Items In Portfolio Mixed – Available only for Portfolio Mixed Template: the maximum number of portfolio items displayed. Leave empty for ALL. Page Content Position – Available only for Portfolio Mixed Template: page content position in relation with portfolio grid. Showcase Layout – The type of layout the showcase slider has: Split (default), Centered or Fullscreen. Every portfolio item will be included in the showcase page templates as long as they have a Hero image, so, ideally, each item will have a Hero image. The hero image will be displayed as the showcase slide and at the top of the individual project page. Background Color – The background color of this project page. It can be White (with dark content) or Black (with light content). The logo version (light or dark) will be selected automatically depending on this setting. Thumbnail Size – Size of the thumbnail for this item as it appears in portfolio template pages. The thumbnail image is the hero image assigned for this item. Hero Image – Upload hero background image. The hero image is being displayed in portfolio showcase. Hero section is the header section displayed at the top of the project page. Video Hero – Video displayed as hero section and showcase slide. If you check this option set the Hero Image as the first frame image of the video to avoid flickering! Webm Video Url – URL of the showcase slide background webm video. Webm format is previewed in Chrome and Firefox. Mp4 Video Url – URL of the showcase slide background MP4 video. MP4 format is previewed in IE, Safari and other browsers. Hero Caption Title – Caption title displayed over hero section. The hero background image is set in the hero image set in preceding option. Hero Caption Subtitle – Caption subtitle displayed over hero section. Enter plain text. Hero Position – Position of the "hero" section displayed as page header. Fixed or Parallax. The featured image of a post is displayed in the blog page as post thumbnail. Background Color – The background color of this blog post page. It can be White (with dark content) or Black (with light content). The logo version (light or dark) will be selected automatically depending on this setting. Hero Text Alignment – Position of the "hero" caption. The hero section is displayed at the top of the blog post and displays post title and categories. A hero is the header section of a page, post or portfolio item page displaying html content. You can add any overlaying html content using Hero Title and Subtitle fields. For a blog post the caption is the post title and its categories. If there is no hero section, disable it in the page options. Hero Caption Title – Caption title displayed over hero section. Hero Caption Subtitle – Caption subtitle displayed over hero section. HTML code allowed in this field. Hero Text Alignment – Hero caption text alignment (centered or left aligned). row_padding_top – top padding space to the row. row_padding_bottom – bottom padding space to the row. small – small row width. full – makes the row full width. text-align-center – center aligns the text within the row. 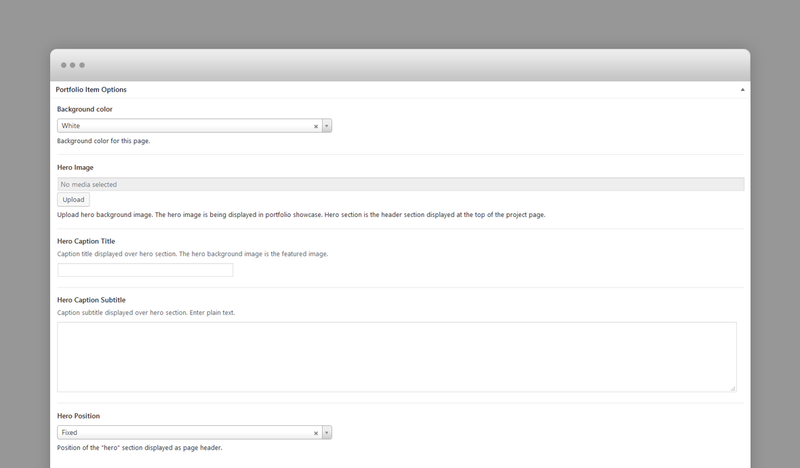 Grenada is also tightly integrated with WPBakery Page Builder editor, therefore you will see them when adding a new element. Grenada is fully localized and it has included the generated PO (Portable Object) in /languages folder. It contains translatable strings used by the theme.